Excellences, Ladies and Gentlemen, This initiative by the United Nations (UN) Secretary-General Ban Ki-moon to convene a High-Level Panel on Peace Operations is important and timely. We welcome the members of the High-Level Panel to Addis Ababa. This initiative by the United Nations (UN) Secretary-General Ban Ki-moon to convene a High-Level Panel on Peace Operations is important and timely. We welcome the members of the High-Level Panel to Addis Ababa. 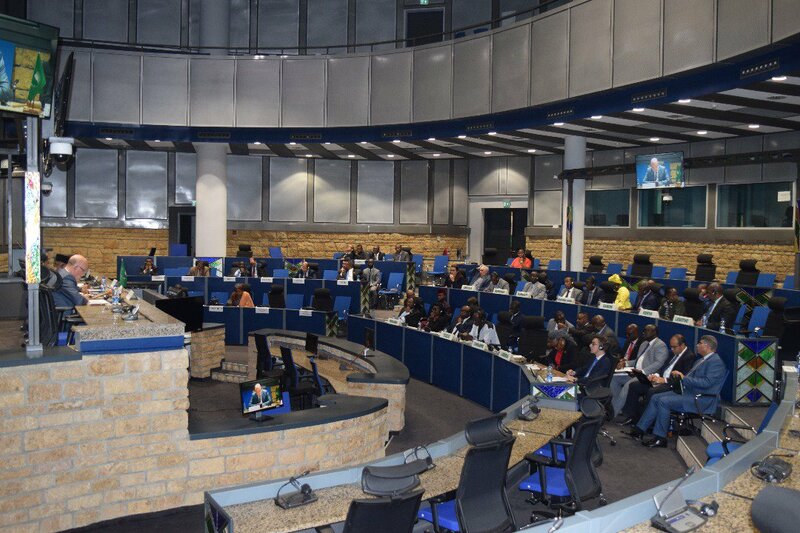 The African Union (AU) welcomes the establishment of the High-Level Panel and looks forward to frank discussions on various pertinent issues that have impacted on peace operations mandated by the UN and the AU. It is our expectation that our interactions will facilitate a deeper understanding by the Panel of African positions and concerns, and that they will be taken into consideration in your report. Today, there are more than 100,000 AU and UN peacekeepers and international civilian personnel deployed on ten missions on the continent. Their annual cost exceeds $7.5 billion dollars. Peace support operations are a vital part of Africa’s security landscape today. There have been many developments in the conflict dynamics facing the UN and the AU, and the context in which peace operations are deployed since the first review of United Nations peacekeeping operations was completed, under the leadership of Ambassador Lakhdar Brahimi. First, conflicts have become more complex and asymmetrical. In the last decade, there have been some significant changes in battle tactics and strategies of armed groups, as well as in the international balance of power, which have important implications for peacekeeping. 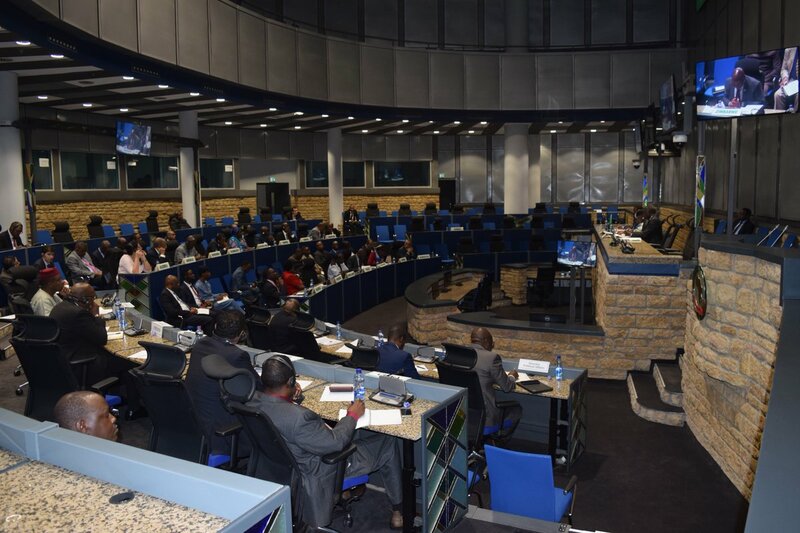 Second, between May 2001 and July 2002, Africa’s political leaders created the AU. They also established a number of institutions, including the AU Peace and Security Council (PSC). The AU and its Regional Mechanisms for Conflict Prevention, Management and Resolution have become major actors in international peace support operations: they have become the first responders to security crises and armed conflicts, the initiators of the political process of mandating peace support operations, and the largest troop contributors. At the UN, international norms have been established, such as the Responsibility to Protect and the protection of civilians, and zero tolerance of sexual- and gender basedviolence and exploitation. Third, fifteen years ago, with a few notable exceptions such as the Economic Community of West African States Monitoring Group (ECOMOG) intervention in Liberia and Sierra Leone, the UN was the sole mandating authority for peace operations in Africa. That is no longer the case. We now have complex and varied geometry of mandating authorities and troop contributors. We have classic UN Chapter VI missions such as in Western Sahara and Cyprus, but these are becoming rare. More commonly, we have Chapter VII UN Missions in which there is a robust African component, such as the combat brigades within the UN Stabilization Mission in the Democratic Republic of Congo (MONUSCO) or UN Mission in South Sudan (UNMISS). We have a hybrid UN-AU operation in Darfur (UNAMID). We have a United Nations Interim Security Force for Abyei (UNISFA), Sudan that is, uniquely, comprised by a single troop contributor, Ethiopia. 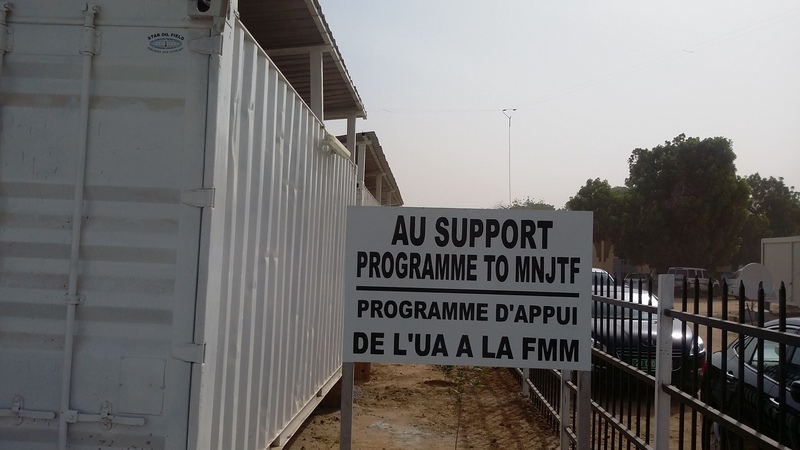 We have missions in Mali and the Central African Republic (CAR) that began as AU missions (AFISMA & MISCA) and which were re-hatted to UN missions (MISMA and MINUSCA). We have an exclusively AU mission in Somalia (AMISOM). We have a combined Task Force for combating the Lord’s Resistance Army (RCI-LRA) across several countries. Fourth, today’s peace operations differ greatly from an earlier generation, notably the peacekeeping missions of the Cold War era and immediate post-Cold War era. They are much larger and more complicated. Rather than deploying only when hostilities have ended, peacekeepers are deployed into situations of active ongoing armed conflict. Rather than simply keeping belligerents apart and monitoring a ceasefire, today’s peacekeepers are tasked with protecting civilians at imminent risk of violence and undertaking enforcement action against spoilers. Today’s missions usually have a wideranging mandate covering political affairs, civil matters, human rights, sexual- and gender basedviolence and exploitation, and may also include facilitating free and fair elections or other democratic exercises. Peacekeepers find themselves operating alongside and hand-in-hand with foreign Special Forces engaged in counter-terrorist operations, or international law enforcement tasks such as controlling piracy of illegal narcotic trafficking. Fifth, the growth of modern communication has had profound implications for the ways in which armed groups operate. While it is true that the root causes of conflict are found in local concerns and grievances, in particular poverty, exclusion and marginalization of particular groups within the society, the growth of the internet has allowed such local grievances to mix with international concerns, ideologies, ambitions and tactics, creating networks of fighters, who move from one conflict to another, to devastating effect. Today, a network of conflicts exists from the western reaches of the Sahel, through the Sahara in Libya, to Somalia, to the Middle East and the Gulf and into Pakistan and Afghanistan, coordinating their tactics, sharing social platforms, weapons and fighters. Moreover, unlike their antecedents, these groups are concerned to control territory, and they combine barbaric methods with conscious social outreach, one which is sophisticated and attractive to alienated populations, especially the youth, at least in the initial period. What are the implications of such developments for peacekeeping and peace operations generally? The AU is in a unique position to offer some answers, as shown by AMISOM, which has been engaged since 2007 in counter-insurgency operations. In Somalia, AMISOM has had to face a highly mobile enemy in Al Shabaab, which has used all the tactics described above, in a context in which, for many years, there was no government at all. What are some of the lessons we can learn from our AMISOM experience? Firstly, the AU’s achievements to date have come at great cost in human lives, but very cost effective in terms of money. Secondly, the significant achievements to date came only after 2011, once the international community finally agreed to our requests to increase the size of the mission, to undertake the types of counterinsurgency. Thirdly, the type of mandate required to address the challenges faced in Somalia can only be done with a strong commitment to significant numbers of boots on the ground: while technology, such as drones, does have a role to play, and the killing of Al-Shabaab leader Ahmed Godane by US drone in September 2014 is a case in point, this cannot work in the absence of ground forces to do the fighting. Fourthly, peace enforcement operations against a highly mobile opponent have vastly different requirements in terms of equipment, training, and logistical support. And fifthly, the risks for troop contributing countries also needs to be taken into consideration – one only has to look at the security risks for countries like Uganda and Kenya in recent years. The question of risk is an important factor. Other examples of the greater risks demanded of Troop Contributing Countries (TCCs) are the deployment of the Intervention Brigade within MONUSCO (comprised of African forces, and adopted at the initiative of African regional organizations) and the steps being taken to enhance the robustness of MINUSMA. These developments should lead us to rethink the principles underpinning traditional peacekeeping operations, in which missions are deployed to maintain peace. The establishment of the UN Panel offers an important opportunity to review and revisit the fundamental principles of peace operations, and to begin to articulate the basis of a partnership between the two organizations based on comparative advantage and experience. Neither the UN nor the AU or other regional organizations can on their own shoulder the responsibility of peace operations. Effective peace operations require a coordinated approach and complimentary of roles between the UN and regional organizations, entailing a thorough unpacking of Chapter VIII in today’s world. In this context, the Panel needs to give particular consideration to what could be done to foster more coherent AU-UN Partnership. 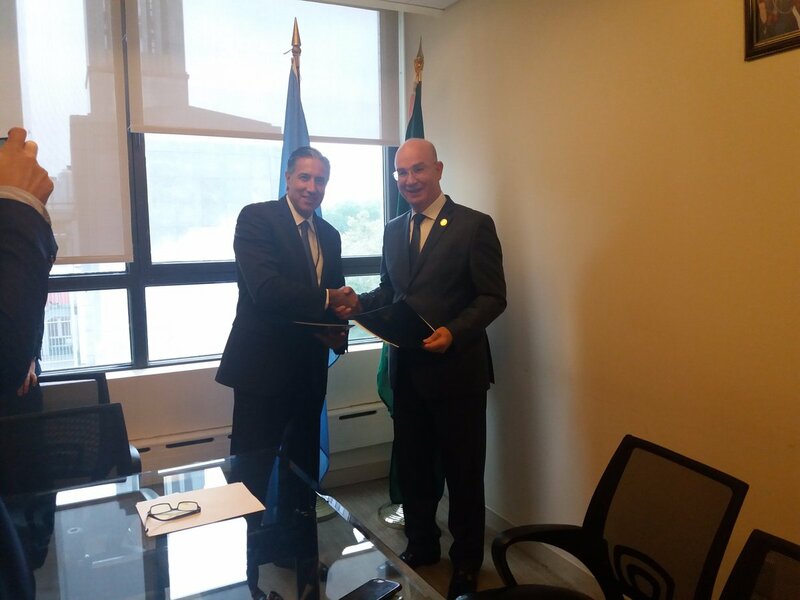 Another area of AU-UN partnership that merits special attention is the funding of UN Security Councilmandated African-led peace operations. The Panel will have to consider ways to ensure flexible, predictable and sustainable ways in which the UN and other partners can support AU and RECs/RMs peace operations. We believe that the recommendations of the Prodi Panel, which included among others recommendations the use of UN assessed contributions to support Security Council-authorized AU peace operations, provide useful indications. While the UN established a support package in 2009 to support AMISOM, other AU Missions in Mali and CAR did not receive similar support. One thing is crystal clear. Africa is by far the most important location for the peacekeeping activities of the UN. We welcome these efforts and those of other agencies of the UN System. It is here in Africa that the spirit of multilateralism is alive. The facts I have mentioned and the questions I have raised indicate the importance of Africa to UN peace missions, and commensurately, the importance of African views on peace missions being fully represented in any future plans for reforms of peace support operations. They also indicate the importance of Africa further developing its own principles, doctrines and practices for peace missions and peace support operations. We, at the AU, shall continue to do this, and in doing so we anticipate a deeper and more effective partnership with the UN on these important issues. I would like to conclude by reiterating that the review exercise of the UN peace operations is of great interest to Africa and no effort should be spared to ensure that the continent’s concerns and issues are adequately taken into account.